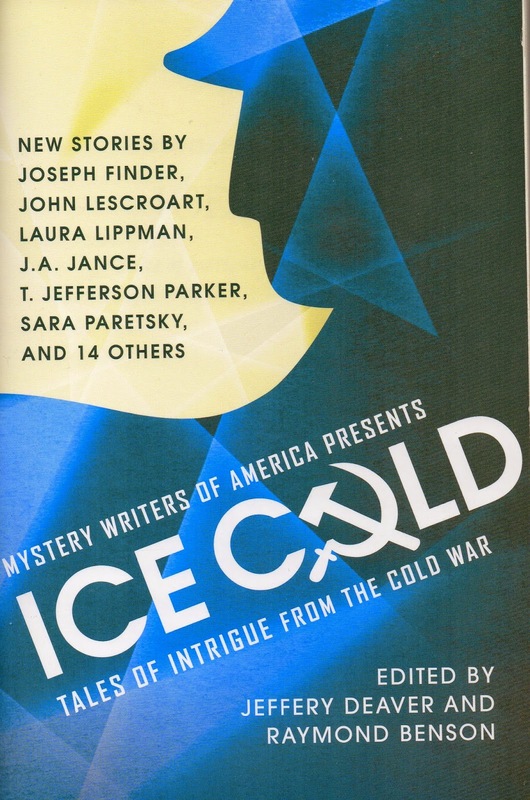 Continuing the espionage theme, Ice Cold is a new anthology of fresh short stories written by twenty members of the organisation Mystery Writers of America. It may even be considered timely to have written tales of intrigue around the Cold War; the prospect of a new version of that clandestine conflict seems imminent. As you’d anticipate, these stories deal with psychological warfare, the paranoia of the times, sleeper agents, sabotage, honey traps, and the usual paraphernalia and venues familiar to readers of espionage thrillers over the last fifty-odd years. (More or less what my Tana Standish series is attempting to do, beginning with The Prague Papers; end of plug - and plug at end). Jeffery Deaver (co-editor) starts the ball rolling with ‘Comrade 35’, a neat exposé about the Kennedy assassination; it’s in his inimitable style, well researched, believable and with a neat twist, as you’d expect. None of the stories are duds, though for me some resonate more than others. The writing team of Lynds and Sheldon heartbreakingly evoke a grim image of East Germany under the brutal heel of the dreaded Stasi in ‘A Card for Mother’. Sara Paretsky’s ‘Miss Bianca’ is a little girl’s perspective on research into germ warfare, cleverly told. In ‘Crush Depth’ Brendan Dubois brings a fresh insight into the loss of the Thresher submarine, while T. Jefferson Parker exposes in ‘Side Effects’ the dangers of mind-altering drugs that were often used to subborn individuals. Other authors included are: Gary Alexander, Raymond Benson (co-editor), Alan Cook, Vicki Doudera, Joseph Finder, JA Jance, John Lescroart, Katia Lief, Laura Lippman, Robert Mangeot, Katherine Neville, Jonathan Stone, Gigi Vernon, Bev Vincent and Joseph Wallace. The uprising in Hungary is dealt with, and its repercussions, as is the fall-out of the Vietnam War. Religion, patriotism and romance are all affected by the looming shadow of the Cold War and brilliantly conveyed within the pages of this selection. If you’re interested in good short story writing, this is worth reading. If you’re into Cold War fiction, you won’t be disappointed, though I think they could have found a better book title and cover design. so why not pop in from time to time and enjoy their offerings? PS - I may not be online as much as I'd like as the ADSL connection is misbehaving. I'm trying to pre-post as many blogs as possible when I can get access! Keith Tyson shivered although he was wearing full survival gear. At least the cave in this godforsaken cliff offered him shelter from the icy winds coming off the Yellow Sea. But it wasn’t the cold; he was suffering from the after-effects of the drugs they’d pumped into him barely ten hours ago. It had been a simple enough mission. Flown out of South Korea, they’d dipped over the wave crests and under the radar, avoiding any aircraft sorties from the bases at Yantai, Tianjin and Qingdao. Parachute drop at the rendezvous point outside Zuzhou. As planned, he’d been met by a group of seven activists. Their English was rudimentary, so he spoke in Mandarin. They helped him with his disguise, though they couldn’t do much about his height, abnormal for most Chinese men. To compensate, he adopted a subservient stoop. His mission was simple enough. The death of Zhou Enlai and Mao Tse-tung the previous year, followed by the end of the Cultural Revolution and demonstrations, suggested that perhaps the country was ripe for a people’s revolution that might even lead to democracy. It was Tyson’s job to organise the popular uprising against the government, before anyone could be nominated as top leader of the nation. But someone in the activist group - an idealist, a hater of the West, or perhaps someone who wanted position, power, money or all three - had betrayed them. At his second arranged meeting in a basement in Shanghai, the Chinese military organised a raid and his small group was arrested. The suicide pill would have worked but he and his contacts were quickly gassed and the false tooth removed before he regained consciousness. They would have been justified in secretly executing him without a trial. Certainly, they had no intention of parading him in front of the world press. There was already talk of the proposed new leader, Deng Xiaoping approaching the West, and in particular the United States, in a push for economic reform. This promise of Western finance was too precious to jeopardise over one spy. The Central External Liaison Department got its way and Tyson was handed over to this espionage system. They wanted to brainwash him, to learn about his contacts and his secret organisation. For many years, ‘Interprises’ had managed to stay separate to MI6, since its creator swore that MI6 leaked like a sieve. Tyson had studied the methods employed during the Korean and Vietnam Wars. In the first few hours, he realised that they were very good at inflicting pain and demolishing self-belief and faith. Yet he discovered depths of will and strength he never knew he possessed. To begin with, they set about him with the so-called softening-up process. Physical trauma combined with drugs tended to bear the best results in the quickest time, or so the manuals stated. Fortunately, he’d read those manuals and he was able to employ mind-games of his own which enabled him, up to a point, to combat the drugs and retain a sense of self. It was like fighting the influence of alcohol, only ten times more difficult. They discovered nothing, but Tyson knew that he had to escape within the first twenty-four hours, before his body clock and senses were thoroughly disoriented, before he was so tired and hungry and hurt that his meagre defences would crumble. Five times in the first day, his hands were tied behind his back with a leather strap and then they ducked his head in a bath of icy cold water until his lungs were fit to burst. He gasped for air and floundered, his hearing muzzy. Normally, they untied him and threw him into his stinking dank cell; but this last time they forgot. It seemed to take Tyson an age to work loose that leather strap. When his plate of maggot-riddled rice was brought, he sat unmoving, hardly looking at the guard in his fatigues. But he was poised, every aching muscle in readiness to spring. The guard made his mistake and turned to the cell door, keys in his hand. Tyson sprang, looping the leather strap round the man’s neck, cutting off any cry of distress. When he was done, he checked the cell door and the corridor. All clear. He exchanged his stained and torn clothing for the guard’s. The trousers were tight and too short and the tunic threatened to pop its buttons, but it would have to do. He locked the dead guard inside and strode hurriedly down the passage and passed the interrogation room but didn’t give it a second glance. If he ever got out of here, he guessed that he’d suffer many sleepless nights reliving his time in that room. He climbed up a flight of stone steps. Luck is everything, Tyson knew. Some people are blessed with plenty of it. His held. He located the Commandant’s offices on the third floor. There was only the one guard and he didn’t suspect anything until it was too late. Now Tyson was armed with a revolver and cartridges. He slipped into the office and soon found the safe behind a painting of Mao. It was an old model and, after a few moments, he opened the safe door. Inside he found an assortment of documents, an automatic pistol and some money. He identified what he wanted, however, a list of names of those suspects who planned demonstrations against the State. Destroying them would not accomplish anything, he knew, since there were bound to be copies. He thrust them inside his jacket. The analysts at Fenner House would be interested. If any survived the inevitable clampdown, then they might be worth contacting in the future. Along another passage he located a changing room filled with clothing - an assortment of gear, including that appropriate for survival at sea. He picked out the biggest sizes and donned as much as he could wear. Clinging to shadows, he descended to the cells, surprised the guards and released twenty-two prisoners. The breakout was a distraction to the establishment’s sentries and gave him precious time to make his way over the wall and along a little-used coastal track. Behind, the siren blared and gunfire echoed, the sounds snatched away by the growing wind-howl. He hoped some dissidents would get away. About two hours later, he found his cache of equipment, hidden in the cliffs where he’d left it. Tyson switched on the beacon and shoved it inside his rucksack. Weak from the beatings and the drugs, his stomach rumbling, he trudged along the goat track cut into the cliffs. He found the cave and sat hunched against the rock wall, shuddering while he forced chocolate into his mouth. He couldn’t taste it. He was seeing double now too. His fingers were numb. Frostbite, gangrene – no, it was the after-effects of the drugs. ‘Charabanc approaching bus-stop.’ The radio set up in front of him crackled and the phrase was repeated. Thank God. They’d been constantly monitoring since he penetrated China. His beacon meant he needed extraction fast. Easing his aching body upright, he sought purchase from the cave wall and stood. Shuffling to the entrance, he saw two dots – no, that was his double vision. The conning tower of a conventional diesel submarine, just surfacing: the charabanc. Risky, ploughing through the Yellow Sea. He slithered down the ragged rocks in front of the cave mouth. Gulls called raucously as they fled their cliff-side nests. He triggered the orange flare. A bigger risk. A red flare shot into the night sky, its source about a mile south. The Chinese were still hunting him. Now it was a race against time. Bracing himself, he stumbled into the surf that beat against the rocks. Spume frothed everywhere. At last, he spotted the rigid raider and two dark shapes in it, the wake glinting in the faint moonlight as help headed towards him. The buoyant craft veered next to him, Tyson grabbed a rope handhold and for the first time since his escape he really thought he might make it. He scrambled up and over the side of the bobbing craft. ‘Let’s go!’ shouted a sailor. Then they headed back to the black monolith, the conning tower. Not a moment too soon. Rifle fire sounded, echoing. Ineffectual. ‘Here.’ He fished the sheets out of his jacket and handed over the names, a list of brave souls who might one day create an historic upheaval. It was twelve years later before the demonstrations erupted in earnest, the pictures televised and beamed around the world. 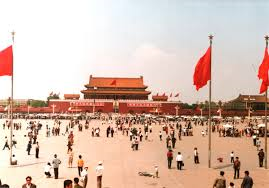 The Tiananmen Square massacre, resulting in hundreds of deaths at the hands of the military, signified a tragic episode in China’s history. In 1992 Deng restarted economic reforms. This story has been gleaned from certain manuscripts provided by several secret agents who served in International Enterprises, an adjunct to the British Intelligence Service, in the 1970s. Swann and others are featured in the full-length adventures of psychic spy Tana Standish, beginning with the e-book The Prague Papers (Crooked Cat Publishing). 'Hell for leather' Previously published in The New Coastal Press, 2010. My thanks to everyone who has been involved in yesterday's e-book launch of The Prague Papers. Unfortunately, my problems with the ADSL connection didn't go away. The day before the connection was fine and it was okay for a handful of hours and then hid somewhere until now, 5pm (Spain time) Thursday. I'm now trying to catch up on social messages etc in case the connection slinks off again without due notice. We've set in train a replacement provider, so hopefully this will not be a recurrence for the next book launch on 11 December! 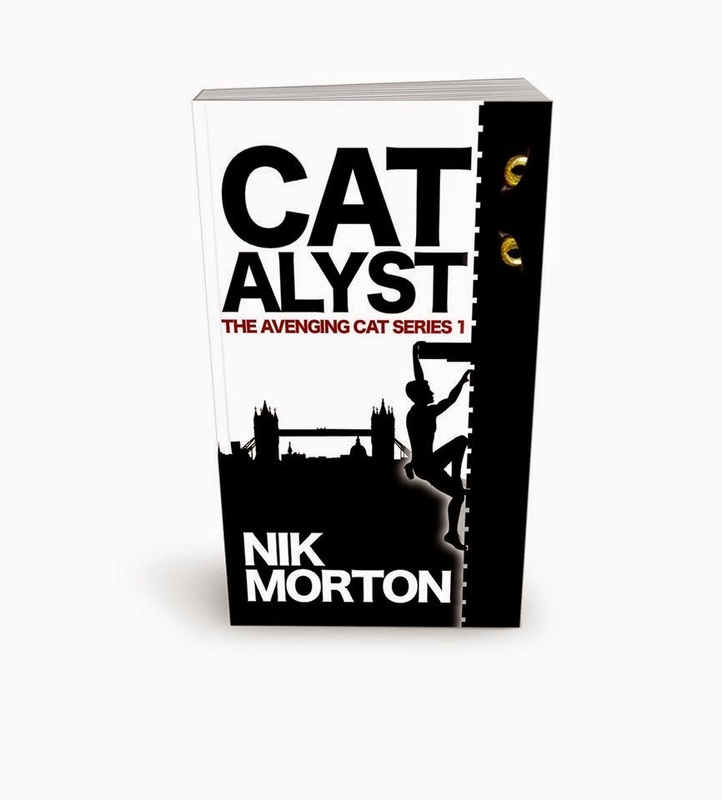 Paperback and e-book out on 11 December - Catalyst. 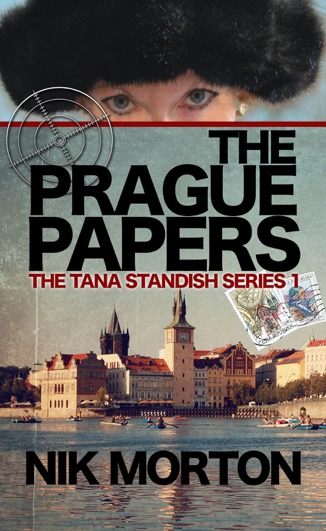 Today is the launch day of The Prague Papers, the first in the Tana Standish series. It’s 1975 and Czechoslovakia’s people are still kicking against the Soviet invasion. Tana Standish, a British psychic spy, is called in to repair the underground network. But there’s a traitor at work. And there’s an establishment in Kazakhstan, where Yakunin, one of their gifted psychics, has detected her presence in Czechoslovakia. As he gets to know her, his loyalties become strained: does he hunt her or save her? When Tana’s captured in a secret Soviet complex, London sends in Keith Tyson in a desperate attempt to get her out - or to silence her - before she breaks under interrogation. The unusual twist is that as well as being lethal in armed and unarmed combat, Tana also possesses a psychic sixth-sense and telepathic abilities which certainly come in handy at times as the action moves towards a thrilling climax. There is plenty of (literally) thought-provoking material thrown in along the way making this an extremely entertaining read. Even if you do not normally like spy thrillers, this is well worth checking out. Welcome back to the Cold War. For those of you who remember with affection those atmospheric spy stories set in Eastern Europe, men and women with unpronounceable names, then this will surely be a welcome return for you all. Snatches of John le Carré, Len Deighton and Adam Hall are in effect sewn into the secret weave that runs like a latent thread through the pages of Nik Morton's spy adventure set in Eastern Europe. Morton’s heroine, Tana is made of stern stuff and possesses a savant like ability to move out of her consciousness and into an ethereal plane. Here she fights against the chilling torture methods used by her tormentor, Kasayiev to probe her mind and get her to break under his perverted methods. Because Tana has learned of the top secret subterranean Sumava complex, British Intelligence have to get Tana out and save her from certain death. In a race against time, Morton puts together a fast moving narrative as Keith Tyson battles to save his colleague, Tana. This book reminded me of Le Carré - carefully crafted and supremely well researched. As well as creating memorable characters (Tana Standish will stay with me for a long time), Nik Morton captures the essence of Prague and the Czech soul, educates us into the world of Eastern Bloc politics, and tells an intricate tale of espionage. As if this weren’t enough, he explores the fields of psychics and telepathy, adding intriguing depth to his story. Far more than a ‘spy thriller’, this book will astound both lovers of that genre and those looking for a truly satisfying read. Reading this excellent novel is a bit like an extreme sport. The pages fly by at a pace, hindered only slightly by the mental anguish of dealing with some unpronounceable Czech and Soviet names. But that was certainly not enough to prevent me becoming engrossed in this relentless flow of exciting action and carefully researched information which lasts right up to the climactic denouement—in itself, both satisfying and rewarding—because Nik Morton’s writing is very smooth and totally believable. All-in-all, this book gave me that feeling of “being there myself”, rubbing shoulders with his characters, and for quite a while after finishing it, I found myself thinking about them and all they had been through. In his fast-paced novel he surpasses Ian Fleming and paints a vivid picture of the dangerous life of the attractive psychic spy Tana Standish. As a book reviewer, I’ve been weaned on highly trained agents with all kinds of fancy offensive gear at their fingertips; masters of such disciplines as kung fu and jiu-jitsu, constantly hopped in and out of bed. Nik Morton goes one better with his mind-blowing characters. Through the medium of his super spy, Tana Standish – an Amazon of Polish/English extraction – he adds more than a touch of paprika to the machinations of the cloak and dagger world and weaves a really cleverly contrived plot – explosive from start to finish. Get this – Tana is not just a superwoman but a psychic too. Yet confusing the issue, the opposition are also training psychic agents, one of whom is able to influence Tana’s movements yet appears to be sympatico… (plot revelations omitted)… This tale is a lively, well written espionage adventure with plenty of twists. [The above are a sample of reviews of the book previously published as The Prague Manuscript, which is OUT OF PRINT]. No, not the hat. Johnny Fedora is a fictional British secret agent who features in 16 novels published between 1951 and 1984. They were written by Shaun Lloyd McCarthy, using the pseudonym Desmond Cory (he died in 2001). Desmond Cory is one of Britain’s most prolific thriller writers; his writing spanned over 40 years; he used up to three different pen names, such was the demand for his work. Literary critics dubbed Johnny Fedora ‘the thinking man’s James Bond’. Fedora was also a hired assassin, but for many readers the Fedora plots were more complex and intellectual than Fleming’s. Fedora made his debut in one of two Cory novels published in 1951, Secret Ministry (the other being a crime novel, Begin, Murderer!) Fedora’s initial outing beat James Bond into print by two years (Casino Royale, 1953). Fedora was the son of a Spanish father and Irish mother; a fact that I’d forgotten when I began writing about my half English, half Spanish private eye, Leon Cazador (Spanish Eye). Fedora was a former Spanish Civil War combatant, Chicago gangster and FBI counter-espionage agent, (as well as being a talented piano player!) Like Ashenden before him, Fedora was freelance, hired by British Intelligence on a case-by-case basis – often assisted by Sebastian Trout of the Foreign Office. He was pitted against Nazi spies, trained killers and Soviet agents. He was driven as much by a need to avenge the death of his parents as by patriotism or loyalty to British Intelligence. His first adventures were written in a more light-hearted manner than the latter ones. The final five books in the series (in bold below) featured his nemesis, Feramontov, a deadly and highly skilled Russian agent, whose ruthlessness went as far as trying to detonate a nuclear bomb. * James Mayo was the penname of Stephen Coulter, a friend of Ian Fleming; apparently, he helped Fleming with some background on Casino Royale. According to Wikipedia, he was born in 1914 and is still alive, though his last book was published in 1988. 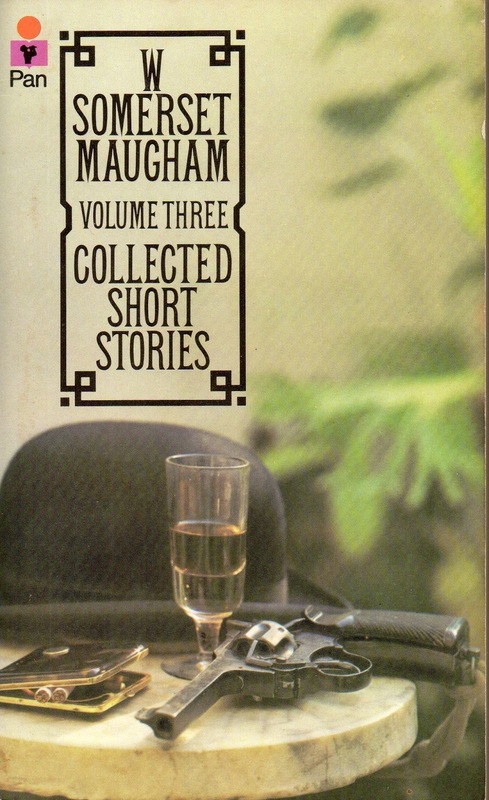 In the much published short story ‘The Hairless Mexican’ Ashenden accompanies the titular character under the cover name of Mr Somerville – which in fact is an alias Maugham used when secretly dealing with the Russian PM Alexander Kerensky in 1917, in the hope of keeping Russia in the war. The Times Literary Supplement said in its review of the Ashenden stories: ‘counter-intelligence work consists often of morally indefensible jobs not to be undertaken by the squeamish or the conscience-stricken.’ Yes, that about sums up a secret agent. Born on 19 March 1933. At the time of the Prague Papers (1975) he was forty-two. He’s tall, with grey eyes and black eyebrows that arch rakishly, and has a square jaw, a thin face and deep furrows run down both cheeks. Tyson was fascinated by technology and always had been. As a young man he enjoyed an active, outdoor life; a sort of contradiction, being a studious type as well. After obtaining his Spanish degree at King’s College, Durham, he drifted for a couple of months then on impulse joined the Royal Engineers. As the advertisements of the time stated, the Army made a man of him. He thrived on the kind of activity they dished up; a fit body and an alert mind, plenty of action, good money and good food. He cut out drinking, save for special occasions, and then always in moderation. He had never smoked as he couldn’t see anything sensible about ingesting smoke into his lungs. In his spare time he took a seamanship course and soon obtained a Coxswain’s certificate. His eyes were good and after hours of practice he attained marksman standard with a Browning pistol: heavy but damned accurate – unlike some toy-like automatics he’d tried. Two years later (1962) he joined the SAS, successfully passing their rigorous courses, proud to be given his wings and the sand-coloured beret. In 1962 he was in Rhodesia and then in Borneo he spent about ten months in a four man team, training Iban/Border Scouts, the local tribesmen, who became the Army’s eyes and ears to defend the Malaysian border with the Kalimantan region of Indonesia. They were good liaison officers with the locals and also acted as additional infantry and guides. While his fighting impulse was more than satisfied, he wasn’t being academically challenged until his patrol met up with the Kalabit, a head-hunting tribe who didn’t particularly like the Chinese communists. The Kalabit taught Tyson their customs and, more interestingly, basic Malay, which was far better than the short course he’d undertaken before being shipped out. Unfortunately, in September of that year the Long Jawi Scout Post was massacred by a group of Indonesians. Tyson had known and trained many of the dead and openly grieved for them with other Scouts. Thereafter, the Scouts were solely used as intelligence gatherers and acquitted themselves well for another three years. But Tyson didn’t share in their successes as he’d moved on to Aden in April 1964 shortly after two SAS soldiers’ heads had been displayed impaled on stakes in the main square of Taiz, across the Yemen border. Tyson and his new team – Dave, Benny and Mark – were ordered to bring back some enemy heads and they did so. It was grisly work and Benny Bateman suffered severe leg wounds that meant he’d never walk again. But they got him out – and brought back six FLOSY heads. On his return from that mission he was recruited into the Counter Revolutionary Warfare unit to cope with the insurgents in the port of Aden itself. Here, he learned counter-insurgency skills which later would be honed against terrorists. But he didn’t have much opportunity to use these new abilities as he was asked to attend an urgent hush-hush meeting in a shed at Khormaksar airport. Here he was introduced to Admiral Sands, a short man who seemed uncomfortable in civilian clothes. Admiral Sands was there on behalf of a certain Sir Gerald Hazard from a covert company called International Interprises. ‘An autonomous bit of MI6, actually,’ Sands said. Tyson’s life was about to change dramatically. It began with the unorthodox assignment Sands had been sent to set up. Tyson with three other members of the SAS were parachuted into Brazil under the directive of the Defence Minister; top secret diplomatic clearances had been arranged, complete with sweeteners in the form of generous trade agreements. Two Interprises agents, Mason and Cally, had kidnapped a high-ranking KGB Director of Peru. But their plane crashed in the Brazilian jungle. Interprises had no available operatives up to the rigours of jungle tracking; so the SAS had been brought in. Tyson and his two comrades rescued the Russian and the Interprises agents, taking them to a secret rendezvous with the country’s first nuclear-powered submarine, HMS Dreadnought. Landing at Rosyth, the two Interprises agents spirited the Soviet spy away. Tyson left his three comrades to some well-earned leave in Edinburgh while he caught the train down to one of Sir Gerald’s country homes just outside Morpeth, as instructed. There was something about the man that inspired trust. You really wanted to follow him. Tyson wondered what Sir Gerald had done in his war. For days afterwards he couldn’t settle. That indefinable ‘something’ that he’d been chasing all his adult life, it seemed to be on offer from this mysterious organization called Interprises. Certainly, it was linked in some way to MI6. Yet it had autonomy, which he liked. And it was run by a man he could believe in. On the fourth day he fished out Sir Gerald’s card and telephoned the man. ‘Your release can be taken care of, no problem,’ Sir Gerald interrupted. It felt strange, being called that. Mister. He quite liked the sound of it. Within the month (in 1965), his resignation was sanctioned and he received instructions about training at the Fort in Gosport, where he met Tana Standish. Tomorrow, November 26 sees the release of The Prague Papers published by Crooked Cat. The Papers are based on a manuscript handed to me by an MI6 agent, Alan Swann. It needed some knocking into shape, as it had been a collaborative effort by a select group of agents, all intent on telling the story of Tana Standish, psychic spy, whose career spanned 1965 to 1988. They asked that her story be told as fiction. As a result, the novel The Prague Papers is the first adventure to feature Tana Standish and is mainly set in Czechoslovakia in 1975. Certain information was divulged in order for me to write the book; yet some has been concealed to date. This is the fifth secret file – and the last – to be released ahead of the book. Tyson is featured in the short story ‘Hell for Leather’, scheduled for the Saturday Story slot on 29 November. Turkish-Soviet Armenian border, 14 February, 1976. Enid in Records said that Dudley Toker was one of the ‘last real gentlemen’ and she really missed his ‘wonderful smile and chivalrous airs. Not much gallantry about since the Sixties,’ she had ended when he picked up his papers and maps. What was odd was that Toker had vanished in Istanbul September last year, presumed dead. Then two weeks ago, the Comcen got a brief report in special code. From Toker. In the Armenian city of Yerevan, of all places. So a hasty mission was set up. Toby Barnes was ex-SAS and a reliable partner in a crisis. They’d been on three missions together and tended to know how the other thought and reacted in extremis. Both operatives had jumped out of the airplane yesterday. The drop height was 30,000feet so the aircraft would go undetected. They didn’t open their chutes straight away. Instead, they plummeted to the earth in free-fall, as they were aiming to get as close as possible to the border to Armenia. Free-fall was fast, silent and generally accurate: a high altitude, low opening drop was ideal for insertion into enemy territory. Swann maintained a normal delta position and descended at a rate of 120mph, the wind-rush against his polarised goggles quite deafening. The white expanse of mountains looked beautiful as he fell towards them. Barnes was more experienced and had opted for the tracking position and fell at 175mph. When they reached an altitude of 2,500 feet, they finally opened their parachutes. Barnes landed before Swann, about five hundred yards away. As Swann hit and buckled his legs, his feet sinking into deep snow, he felt enormous relief. No jarring of the knees this time, the soft snow cushioned the impact. Swann broke out his snowshoes and then strode across the virgin snow towards Barnes’s landing place. They’d been dropped a mile from the Turkish-Armenian border. Surveillance flights suggested that there were no Russian sentries out here – it was too cold and inhospitable. They relied on radar to detect aircraft. On their left were the twin volcanic peaks of Mount Ararat, the home of Noah’s Ark, its 5,000-metre height dominating not only the skyline but also the surrounding snow-clad landscape. This land he stood on, and the mountain, had once been part of Armenia until the Turks took it in 1915, committing genocide in the process. Death beckoned now, it seemed. No matter how experienced and how professional you are, if luck’s against you, you lose. Swann found Toby Barnes: as he’d landed, the snow under him had fallen away and Barnes had tumbled down a deep fissure in the underlying rock. The parachute shrouds had snagged, entwining round his neck before he could hit the release and his neck was broken. Neither carried any identification. All their equipment was manufactured in the USSR. Swann could safely leave Barnes where he hung. He offered a quick prayer for his companion and felt his throat was dry with tension. He sipped a little water then set out on his mission alone. 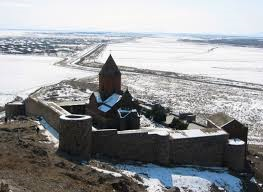 For the next two days Swann trekked down the mountain slopes towards the walled monastery of Chor Virap. The sky was eggshell blue and very clear. As he trudged over the snow he was aware that he left an obvious trail but there was nothing he could do about that except pray for a snowfall to obliterate his tracks. He continually scanned the empty sky for the slightest black speck that might become a deadly Soviet helicopter on patrol. While the weak sun shone, he tried to avoid overheating, opening his parka. At least it wasn’t windy, so there was no wind-chill to contend with; frostbite was the worst enemy, followed by hypothermia. It was a case of keeping a balance, maintaining his core body-heat while he kept moving to his target. The pointed tower of the seventeenth century church beckoned, emerging out of the dun-coloured assembly of buildings and wall on a slight promontory. He waited overnight under a makeshift canvas shelter and set out as the sun’s first rays shimmered like a halo around Ararat’s slopes. Tayyip Sezer was a grizzled bent old man, an Armenian monk. Stocky and at least in his seventies, he seemed to be both tough and strong as he eased open the heavy wooden door and let Swann in. ‘We have been expecting you, sir,’ Tayyip said in broken English, closing the door. ‘How many are here?’ Swann asked. Across a cobbled courtyard, up a narrow dark alley and into a small doorway. 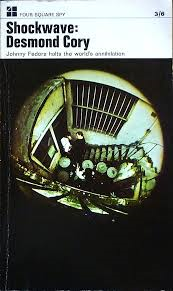 Tayyip led Swann down a spiral stone staircase into what appeared to be a candle-lit wine cellar. ‘I’ll go and get the broth,’ Tayyip said and left him. For an anxious second he wondered if he was going to be locked up down here. The door stayed ajar. ‘Yes.’ The man stepped out into the glow of candles. ‘I think I know you – Alan Swann, isn’t it?’ He held out a hand. Swann nodded, took off his mitt and shook hands. Before Swann could comment Tayyip returned. ‘Here, have this.’ Both men gratefully spooned up the thick vegetable and mutton broth. ‘I sacrificed a sheep in your honour,’ said Tayyip. Later that day, Toker put on the spare clothing that Swann had brought and said his farewells to the monk Tayyip. Then they walked back towards the border. Before they’d set out, Toker had explained that while working in Istanbul he’d learned about plans to assassinate Chairman Mao Tse-tung by poison. He was captured to find out how much he knew and whether or not he had informed anyone else. The Soviet plot was intended to point the finger at the CIA and thus throw China into Russia’s arms. ‘Just in case I don’t make it, old boy,’ Toker said. He was weak from imprisonment, torture and food deprivation. It was a miracle that he’d escaped. Naturally, Swann wondered if Toker had been brainwashed or fed spurious information to cause embarrassment. But the man seemed genuine – and very courageous. At the end of a gruelling two-day trek they crossed into Turkey and Swann sent his radio-message. Two hours later, he set a flare and a short while afterwards the Huey rescue helicopter swooped down towards them. Mission accomplished. Behind the scenes, the Foreign Office informed the Soviet and Chinese ambassadors about the plan Toker had uncovered. Naturally, the Soviet ambassador strenuously disavowed any plot. Once the Chinese were aware, there was little point in going through with the assassination attempt. Several of Chairman Mao’s entourage disappeared mysteriously in March of that year and Chairman Mao died on 9 September, 1976, apparently of natural causes. This story has been gleaned from certain manuscripts provided by several secret agents who served in International Enterprises, an adjunct to the British Intelligence Service, in the 1970s. Swann and others are featured in the full-length adventures of psychic spy Tana Standish, beginning with The Prague Papers (Crooked Cat Publishing), published as an e-book on 26 November, 2014. 'Cold Turkey' was previously published in The New Coastal Press, 2009. This is a week where we seem to be looking at spy books and characters. 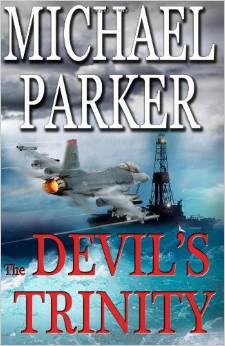 So I might as well continue the trend with this, Michael Parker’s fifth book, The Devil’s Trinity published in 2008. Here, Parker is definitely flexing his writing muscles. His story is mainly set in the Caribbean and CIA headquarters and posits a nightmare scenario of which even the popular Clive Cussler would be proud. Yet it starts innocently enough with an accident at sea. Marsh and Greg, his business partner, are onboard their yacht the Ocean Quest when a ship runs them down. Greg dies, leaving a widow Helen back at their office. These early chapters are tense and create a mystery you want to resolve by reading on. Then we meet CIA operator Remo who is investigating the arrival on a beach of an anonymous individual suffering from radiation sickness. Alarm bells start to ring, especially when it is revealed that three nuclear bombs - a trinity of death and destruction - have gone missing from Uzbekistan. Respectable business magnate Hakeem Khan is behind this latest attempt at bringing the ‘Great Satan’ America to its knees. Onboard a vessel sailing the Caribbean, he finds that his plans have been forestalled by the disappearance or death of the pilot of their submersible, the Challenger, which was key to the mission’s success. Thus the stage is set for these disparate lives to become intertwined in a race against time. The story involves kidnap, violence and bravery. Marsh is coerced into working for Khan, knowing that Helen’s life is forfeit if he refuses. But he fears that he is expendable too. Considerable knowledge about underwater exploration and airborne firepower are fairly seamlessly woven into the tale of cat-and-mouse between the cunning Khan and the might of the US. The fast-paced storyline has the potential to make a good movie. Without a doubt, all fans of techno-thrillers should get their money’s worth with this one. Parker’s ninth book is due out soon. Michael Parker was born in 1941 and educated in London and Portsmouth. He left school with no qualifications but a natural ‘bent’ for English, and it was this ability that set him on the path to writing. Michael has written for as long as he can remember, but not with the success he first coveted. His first novel, NORTH SLOPE was published by Macmillan in 1980. His next manuscript, HELL’S GATE was rejected and so began a saga that lasted twenty six years…. Michael’s second novel, THE SHADOW OF THE WOLF, was published in 1984 by Robert Hale of London. It was to be many, many years of writing and rejections before he saw his third novel published in 2007. This was HELL’S GATE, the novel he had been trying to get accepted since 1980. Other books followed from Robert Hale: THE EAGLE’S COVENANT in 2007, THE DEVIL’S TRINITY in 2008, THE THIRD SECRET in 2009, A COVERT WAR, in 2010, THE BOY FROM BERLIN in 2011. This latter novel is also published in paperback by Harlequin in North America and Canada. Harlequin have also taken up the English language paperback rights for THE EAGLE’S COVENANT, also for North America and Canada. Michael met his wife Pat when he was sixteen and she was fifteen. They married in 1960, have four sons, ten grandchildren and a new great grandson, Harrison. They celebrated their Golden wedding anniversary in January 2010. Michael has worked as an office boy, a Merchant seaman, a plaster’s labourer, a deck hand, a cinema projectionist, an RAF Technician and a maintenance technician in the food industry. He has also worked in the Middle East. In 1997 Michael and Pat moved to Spain and settled on the Costa Blanca. Michael’s hobbies are football, snooker, and keyboard. He was a member of Torrevieja Christian Fellowship (TCF) along with his wife, and used to play keyboard there as a member of the Praise and Worship team. Michael has described his writing hobby as a ‘Sweet curse’. He says that the joy comes from writing a full length novel, living with it, creating the adventure, the characters, the excitement etc., but the curse comes from the number of rejections that are received from almost all the publishers and agents he contacts. But perseverance is the key word, which was the case with HELL’S GATE; twenty six years in trying. Late this year, they permanently returned to the UK. Time to blow my trumpet. My novel, The Eagle's Covenant, has remained unsold for over a year. Then suddenly; two sales and two five star reviews. Unsolicited. I have to quote at least part of one review. Parker's manner in driving this relentless story resembles the speed of bullets flying out of an Uzi and he paces this novel so well that leaving it for a moment feels uncomfortable - the true sign of a gifted author. In a time when so many books and films rely on fantasy and... special effects to terrify audiences, it is a pleasure to encounter a writer from whose pen flows a story that simply with words on a page can shoulder the same degree of tension based not on aliens or Marvel comic book characters, but solely of the extremes of very human personalities. This is an author who will thrive with American audiences. Watch for film offers....Grady Harp, November 14. The characters are gripping and sympathetic—especially Joanna in her torment over her missing child. Parker has a gift of prose. He executes description beautifully, creating incredibly detailed images.The clever, complex plot unfolds at a smooth and steady pace, pulling the reader deeper and deeper in that world with every chapter. This was my first novel by Michael Parker, but it definitely will not be the last. Highly recommended for fans of intelligent international thrillers.